When it comes to performance exhaust systems, Gibson has the sound solution. 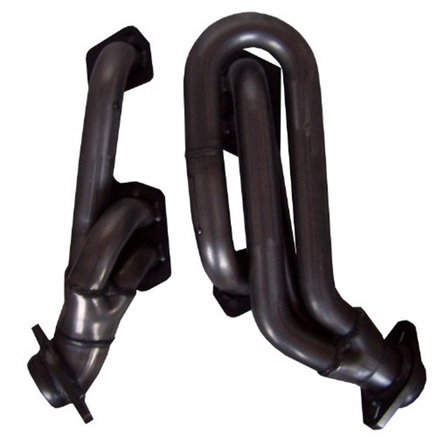 From exhaust systems to mufflers, headers pipe, and other performance accessories, Gibson will have your vehicle sounding better with some performance gains. It's time that you get the best driving experience out of your vehicle. You can only do so with the help of this Gibson Deegan 38 exhaust system that will really boost your engine's performance. With this, you can count on it to bring out your engine's best. It will also deliver a more aggressive tone. Get yourself an exhaust system that will deliver to you more power! With this Gibson exhaust system kit, you get all the power that your vehicle can take that will give you a better driving experience. Plus, it produces a throaty sound that you will surely love. Installation is bolt-on, so you won't have any problems! If you're looking for an exhaust system that will give you the power that you seek, this cat back dual extreme exhaust from Gibson is the answer. It is designed for Jeep enthusiasts and to provide you with all the performance that you need. You will be surprised with how much this can give you compared to other exhaust systems in the market today. For unrestricted flow of power, this exhaust system kit by Gibson will do the trick! It has a solid construction and the highlight? You get your vehicle that impressive sound that you have always wanted. With this, you'll feel more powerful and more confident on the road that you will surely appreciate! 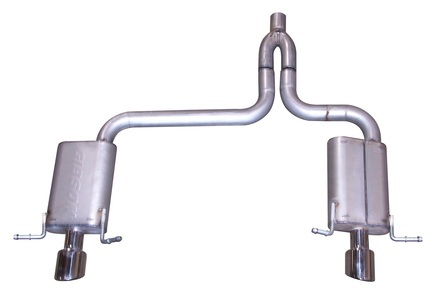 Make your truck or SUV stand out with the Gibson exhaust system. This will give your vehicle a boost in horsepower and torque that you will surely appreciate. It will also boost your vehicle's aesthetic appeal. It's time to give your vehicle the upgrade that it needs, do it with this Gibson cat back dual sport exhaust! 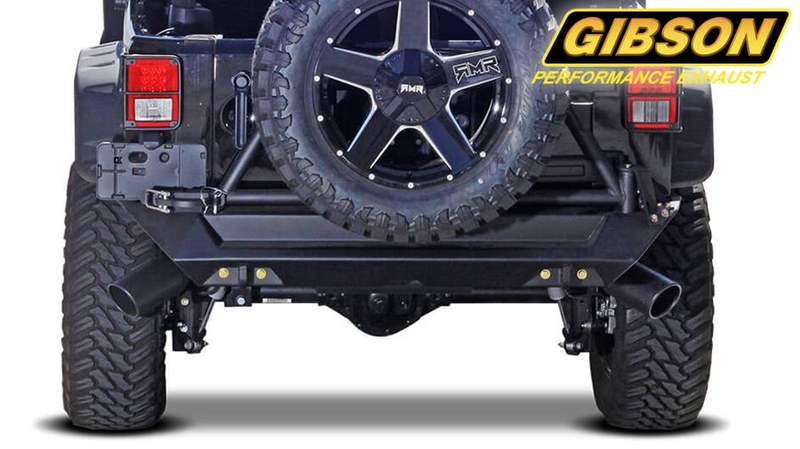 The Gibson Metal Mulisha exhaust system is their loudest system that is ideal for your on or off-road use. This kit will deliver to you that tone that will have you feeling even more powerful as you cruise down the streets. Installation is easy and it comes with all the necessary parts that you need. Equip the perfect exhaust system kit for your vehicle that will support upper uphill and towing needs. 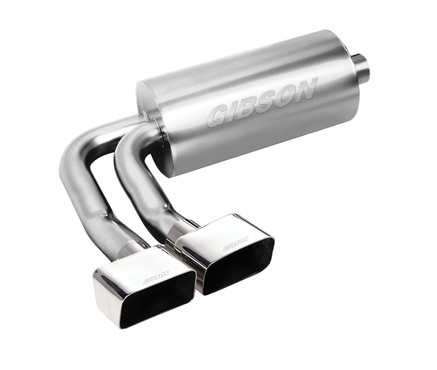 This Gibson exhaust system will give you that much-needed power along with an exhaust note that you will love. Do yourself a favor and get your vehicle only the best, because in the end, it will pay off. If you're looking for that exhaust system that will give you maximum performance, this Gibson exhaust system kit is the one for you. Enjoy a race car growl and better horsepower and torque gains that will help you zoom through the road. 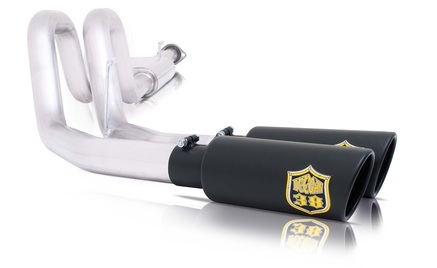 It features a SuperFlow muffler and mandrel-bent tubing that only guarantee superiority. For an engine header that will deliver to you the performance that you deserve, this Gibson performance header is exactly what you need. Dyno-tested and designed to deliver more horsepower, torque, and engine efficiency, you will get the most out of your engine with this. Plus, installation of this is pretty easy! PartCatalog.com is a proud retailer for Gibson Performance. For more information on Gibson Performance, please visit the Gibson Performance official website.